It all started in late 1940’s from the trunk of Edna Byler’s car. She traveled to Puerto Rico in 1946 and witnessed the country’s overwhelming poverty. Byler believed she could make a difference by giving artisans in developing countries a sustainable, economic platform to sell their wares in the North America marketplace. Her vision and determination evolved to almost 400 retail outlets that sell products sourced from disadvantaged artisans all around the world. Surprisingly, this fair trade retailer is a nonprofit, charitable organization. All sales revenue and surplus earned are reinvested to help and finance more artisans around the world. Demand for sustainable products is driven by a burgeoning niche of U.S. consumers that want to buy items and support artisans that create products through an environmentally friendly process, up-cycling process, or through sustainable natural resources. 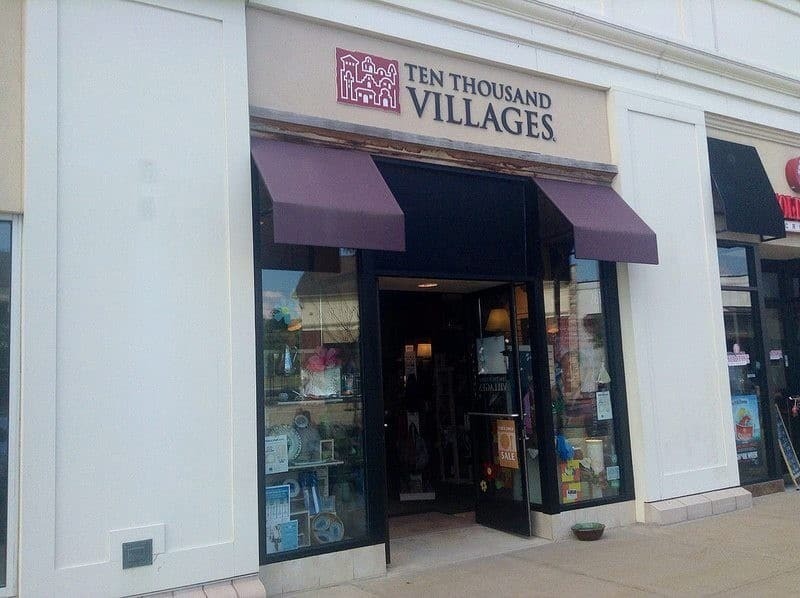 Ten Thousand Villages recognizes this need and has long term relationships with many artists and merchants. It operates as a compassionate business with a mission that is focused on integrity and social responsibility. What does it mean to consume ethically? Be curious. Ask questions beyond the “label.” Most apparel and home furnishing products may say that it’s made in one place, but most likely, the products are assembled and materials are sourced from many different places (places that have terrible records of human rights abuse/bad labor laws or sourced from endangered or non-sustainable resources). If you can’t figure it out through the labels, contact the company to find out if they have a code of conduct for suppliers. Recognize endorsements. Look for words like “fair trade” or “fairly traded.” Look for labels on packaging that says “Fair Trade Certified” or “Fair Trade Federation.” Organizations like OXFAM and FairTradeUSA are good sources for more information about fair trade. In brief, fair trade requires producers to invest in their community, consumers and the environment. It’s not a use/abuse system. It’s a cycle for cooperative use/reuse. The next time you go shopping for a gift, consider buying a present from Ten Thousand Villages. You’ll find tons of mindful gifts for your loved one.